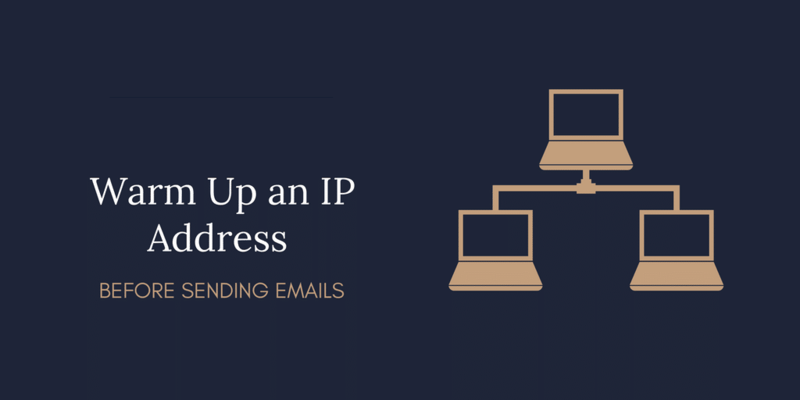 ISPs view email from a new IP Address as suspicious until they establish a positive sending reputation. It takes 4 to 8 weeks to achieve maximum deliverability (depending on targeted volume and engagement). Warming could take longer if receivers don’t perceive an email as opt-in. Certain ISPs limit senders to thresholds until they build a sender reputation. For example AOL limits new senders to 5k/day and Outlook limits to 20k/day for the first week. Ginger Domain recommends starting off on the right foot with the cleanest data first. Focus warming your most engaged subscribers and then add in the older segments as you progress. Older segments should be added to the engaged segments in chunks of 10% to 25% as not to tip your reputation from good to bad. Send a re-engagement or win-back campaign to the segments that are older than six months to a year (depending on your sending frequency). Be sure to change up the content to try to re-engage. The goal during your warm-up process is to send to subscribers who are least likely to complain and bounce. This would include those that have opted-in most recently and are consistent openers/clickers. Once you begin warming up your IPs you can expect some bulking and blocking to occur. It is key to stick with the plan. Below are details of what you can expect and actions to take. Bulking at Yahoo, AOL, Gmail. Typically clears up after a few sends with solid positive metrics, but it can take time to get inbox delivery. The key is to keep sending. Possible blocking by ISPs can occur if the list isn’t engaged enough or if you are going over those daily caps per ISP. The key is to segment carefully and potentially pull back on volume to the number of allowed delivered for a week and then begin ramping back up the ISP effected. Again the key is to keep sending. Why is an IP Warm-up important? Blocks/Filtering/Rate Limiting rarely occurs (only occurs when engagement and complaint rate ratios are in poor standing). Sender Reputation is how receivers view you and your mail. ISPs track how engaged subscribers are with an email and its sender, and the nature of the engagement. Remember Quality always wins out over Quantity. Set subscribers’ expectations from the beginning. Give people who opt- in to your subscription lists choices on how often they’ll receive emails from you (e.g., once daily, a weekly digest, as items become available or go on sale). If you send infrequently, make that clear. Ask them to whitelist you as they opt-in. Deploy a good on-boarding program educating them on expectations. As your lists age, weed out non engaged subscribers. Continuously re-engaged your inactive subscribers.